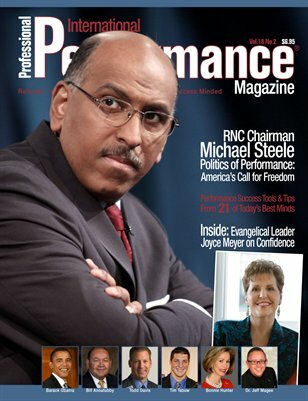 RNC Chairman Michael Steele on the Politics of Performance, Joyce Meyer on confidence, interviews with Tim Tebow, Sean Kingston, are all in this great issue of Performance Magazine. We're very proud to include a piece written by Red Cross chair Bonnie McElveen-Hunter. She shares a POWERFUL article about the lessons learned from the recent earthquake in Haiti.